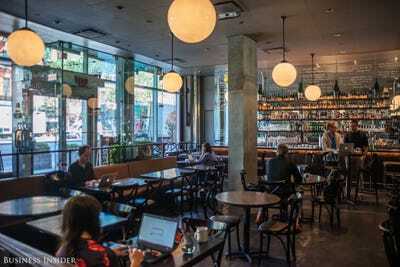 DBGB Kitchen and Bar officially opens, but there are already people seated in the restaurant’s dining area. They all have their laptops out, and a pair are holding a meeting at a bar table. It’s because, during the day, the restaurant doubles as a shared workspace. 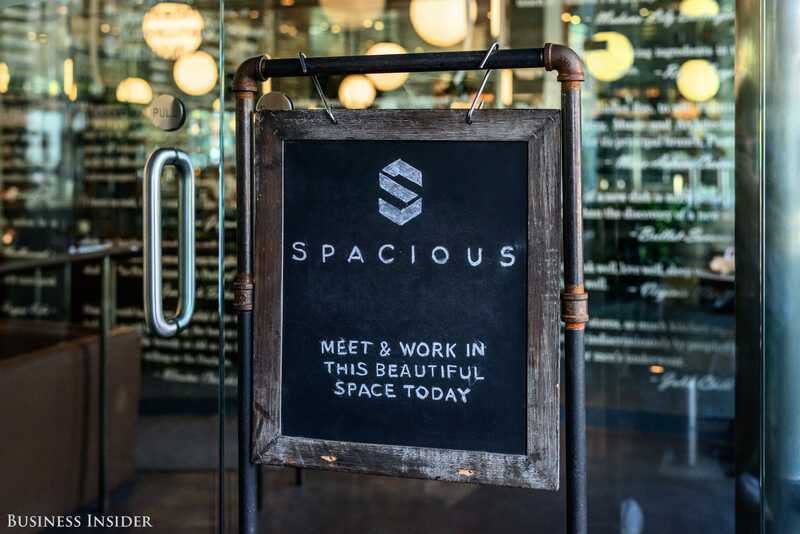 That’s thanks to Spacious, a startup co-founded by Preston Pesek and Chris Smothers to make use of empty restaurants by offering them up to freelancers and others without an office as an alternative to crowded coffee shops. One customer on Thursday morning was Diana Montano, tour operations and project coordinator for Museum Hack, which provides interactive museum tours. She has meetings with her team members in the restaurant two to three times a week. Sometimes they chat over near the bar. Sometimes they huddle in the private dining room and make phone calls in the sofa booths. More than 2,000 restaurants in Manhattan and Brooklyn are closed before 6 p.m. everyday, according to Pesek, who previously worked at real estate management firm Fortress Investment Group. Smothers was a developer for a roster of startups. The rise of freelancer economy, coupled with more flexible working arrangements nowadays, is creating a vast demand for unconventional work spaces. We already saw the explosive growth of WeWork and newcomers like Mod, which offers cleansing juices and meditation reminders in its coworking space. 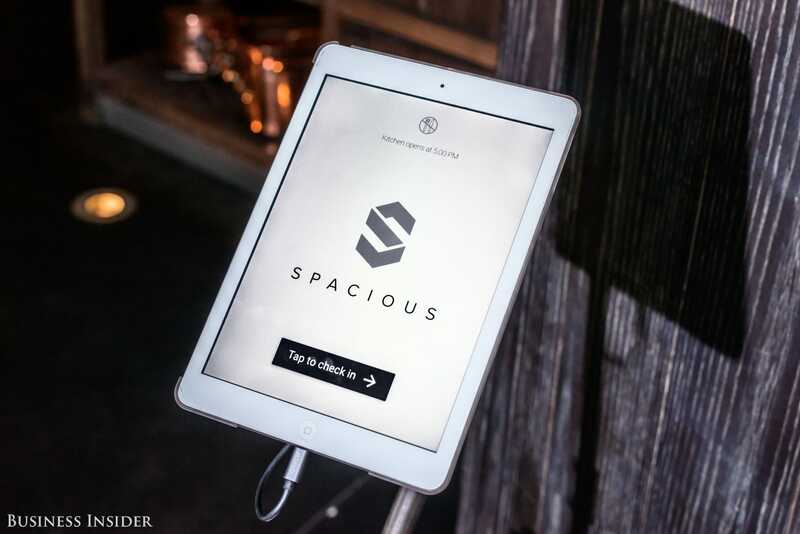 Spacious’s founders think hospitality and consistency are important. 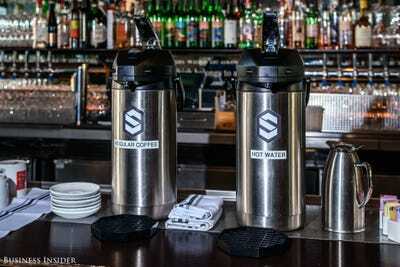 To that end, they manage the playlist and music volume, set up their own wifi network, provide unlimited coffee (it will be supplied by either Toby’s Estate, Irving Farm Coffee Roasters or Intelligentsia Coffee) and hire part-time hosts to take care of the members. Smothers, who is also a developer, built a platform that collects revenue and allows for an easy check-in. 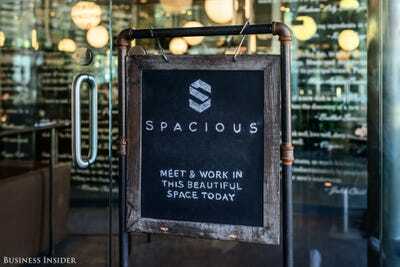 Unlike the majority of coworking spaces, Spacious is not subleasing a space from the landlord. The startup charges $95 per month for unlimited access to all locations ($29 for a day pass), and gives a profit share to partnering restaurants every month. About 50 people have signed up for memberships thus far. Spacious’s more ambitious goal is to improve food culture by allowing restaurants to focus on what they do best. “If we can help relieve ground-level retail pressure, then restaurants can afford to take more risks with food, or the head chef can experiment more with new concepts,” Pesek said. It’s pretty tempting to work in a restaurant when the kitchen staff are already prepping, and Pesek said they want to offer small eats and an exclusive lunch menu for members going forward. The open bar is also an option. The startup had recently closed a round of fundraising from three venture capital firms, including Lerer Hippeau Ventures, The Box Group and SV Angel. “We have the ability to scale quickly…once we get an agreement with a partner, we can open in two weeks,” said Pesek, citing the ready supply of wifi, cables and coffee beans. Spacious will add L’Apicio as its second location by end of June. There may be more options in Lower Manhattan and Williamsburg this summer.